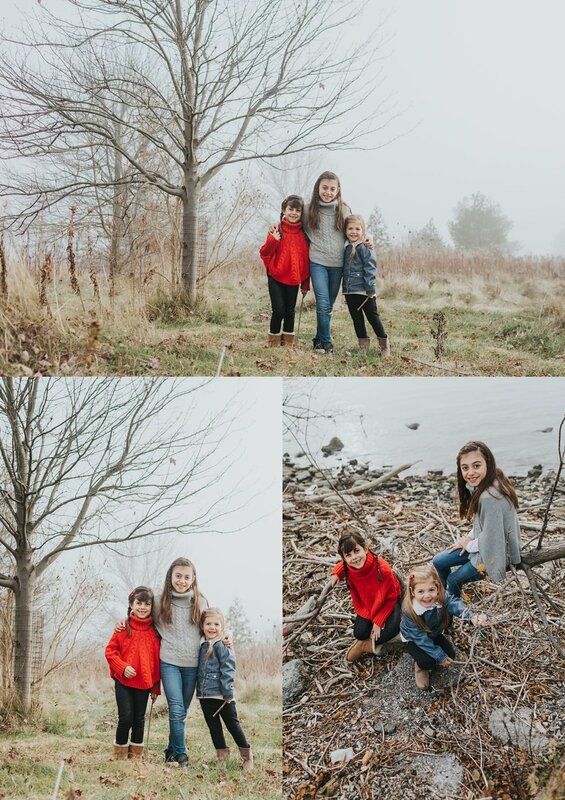 I met up with these three little girls, sisters, at Colonel Sam Smith park in Toronto for a fun holiday session. 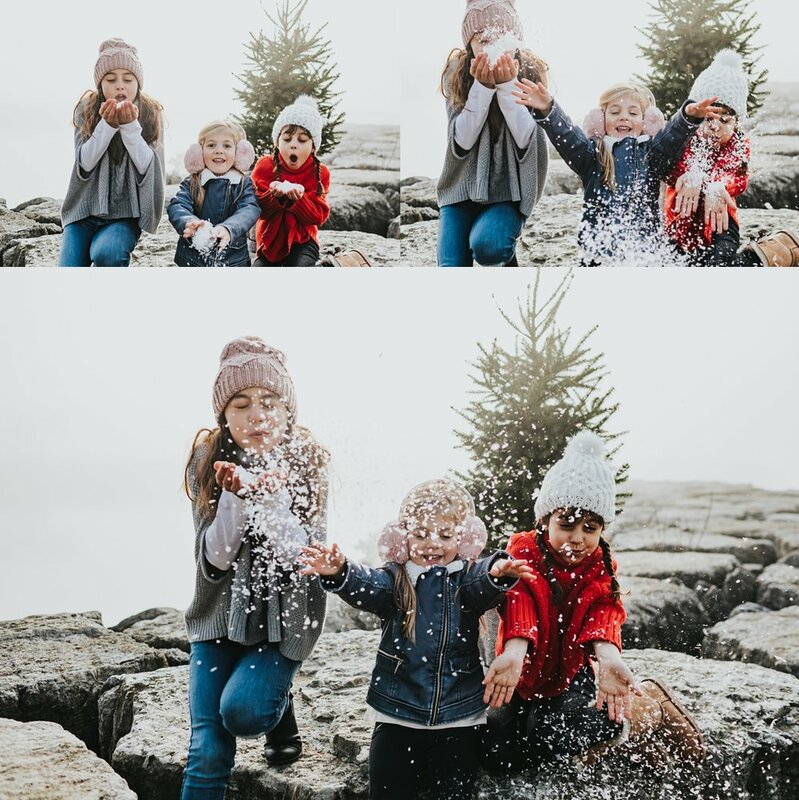 Nothing beats photographing 3 adorable sisters, in the winter (it was a mild weather day! ), with a Christmas tree we lugged around the park in a baby stroller. Yes, those strollers are handy for more than just kids! Although I did get some weird looks when I was walking back to my car, alone, pushing a stroller containing a Christmas tree and not a baby. A group of teen boys walked past and were whispering and I just laughed. I can imaging what they thought!